Our first single front pant in 12.5 oz. ringspun Cotton Canvas. 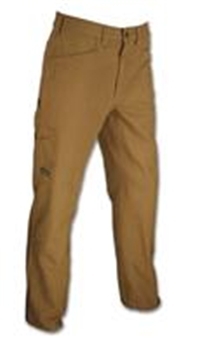 Our take on the traditional work pant comes with various rear utility pockets and a hideaway hammer loop. Straight leg design with the Rugged Gusset™ and double layer mudflaps for wear and tear.